After touring together this past May, the trio is back with a full U.S tour for the fall. 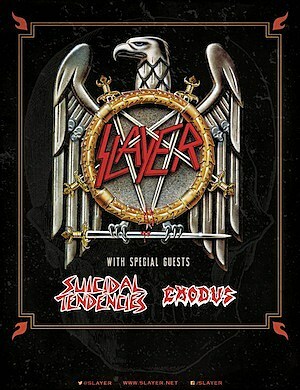 Slayer will be taking a break from recording to take off on this tour starting in November. Gary Holt will be once again playing for both Exodus and Slayer, and this will be the debut of former front man Steve Souza.